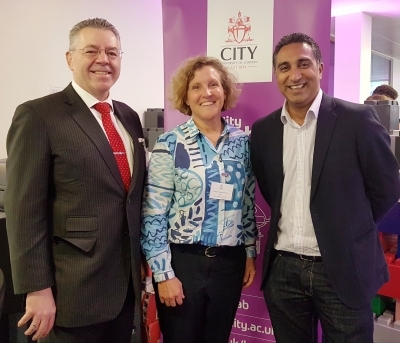 David Stringer-Lamarre, MD of FortisCL, within his role as Chairman of the Institute of Directors, London Region, was very pleased to have attend this City University Launch Lab event. It was a very good opportunity to learn more about their work with entrepreneurs and of meet the business owners themselves. Professor Marianne Lewis, Dean of Cass Business School spoke about the work of the Launch Lab and the Business School’s expertise in the area of entrepreneurship. This was followed by an introduction on new businesses that were just going the Launch Lab.